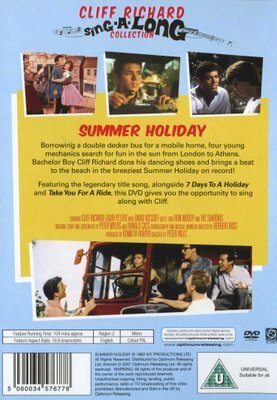 Borrowing a double decker bus for a mobile home, four young mechanics search for fun in the sun from London to Athens. Bachelor Boy Cliff Richard dons his dancing shoes and brings a beat to the beach in the breeziest Summer Holiday on record! 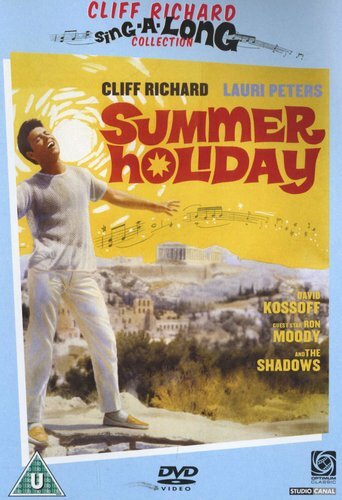 Featuring the legendary title song, alongside "7 Days To A Holiday" and "Take You For A Ride", this DVD gives you the opportunity to sing along with Cliff.